Villawood Properties has again been recognised by the Urban Development Institute of Australia’s annual Awards for Excellence. 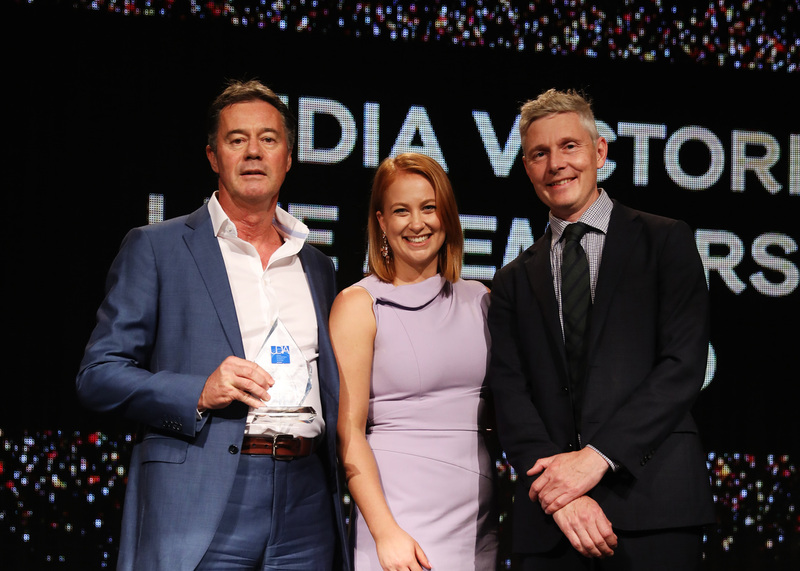 Villawood Properties’ flagship Armstrong Mount Duneed community was bestowed with the UDIA Award for Community Engagement Excellence, while the project’s landscape architect, Barry Murphy, won the highly-coveted UDIA Judge’s award. Villawood Properties Executive Director, Tony Johnson, was given the surprise – but much deserved – honour of the UDIA’s Lifetime Achievement Award. The Community Engagement Award, granted in recognition of leadership and innovation in services and social infrastructure in residential projects, follows Armstrong’s win last year in the UDIA’s Best Masterplanned Community. Judges’ favourite, Barry Murphy, was heavily involved in the design of the sumptuous wetlands and streetscapes full of character at the award-winning community. The Urban Development Institute of Australia cited the MDG Landscape Architects designer’s work in creating a highly liveable community that was visually pleasing and encouraged social cohesion via communal open spaces. Tony Johnson’s Lifetime Achievement Award is the culmination of more than 20 years contribution to the property industry. Tony joined Villawood Properties as Executive Director in 2006 and has been an inspirational leader and mentor over the years. Tony served as President of the UDIA Victoria from 2000-2003 and remained a Victorian Director for a further 10 years. The UDIA’s recognition caps a stellar year of growth for the company and takes the Villawood stable’s tally of major development awards in the past two decades into its twenties. Recently, Rory was interviewed on Channel Nine's Destination Happiness about the Importance of Community, which is a topic everyone at Villawood Properties is passionate about. The remarkable landscaping at our Armstrong community in Mt Duneed caught the eye of Channel Ten's Australia By Design Landscapes program - come, explore the open space, wetlands and adventure playground!